Early morning on Komodo Island in the Komodo National Park area, one of only a few places on earth the world's largest living lizards can be seen. In the old days, tourists were allowed to purchase a live, tethered goat and watch while the sacrifice was devoured. As the practice has ended, my attempts to smuggle in a live chicken were thwarted before I boarded the boat that brought us to the island. More often than not, I have trouble deciding on a final post-processed photo. In these cases, I will post one or more alternate versions that are accessible by hovering over the image or the small badge on the bottom right under the image. 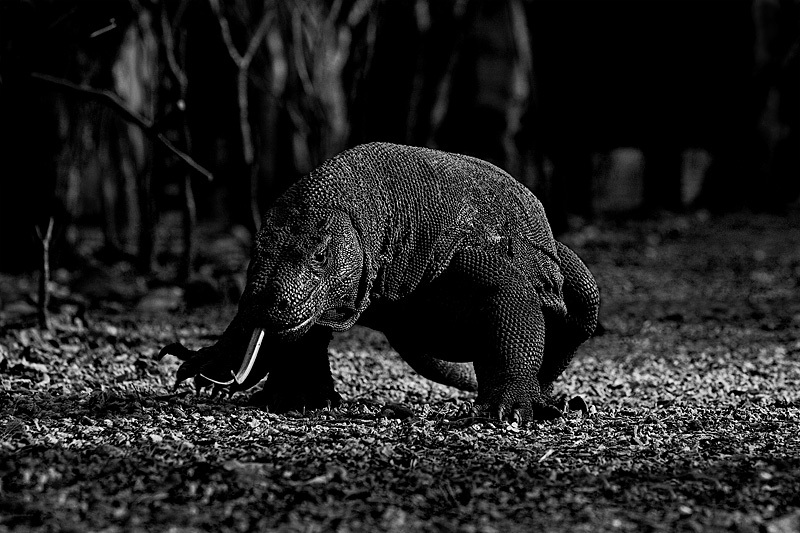 See for yourself... hover over the image and vew the alternate version of the Komodo Dragon.